Location, location, location! Our community is just a 4 minute walk from the Rosslyn Metro Station, and steps to restaurants, bars, shops, grocery stores, entertainment and more. Our reasonably-priced two bedroom apartments include most utilities and are perfect for those who want to stay connected to local hotspots, while living in a tranquil home environment. Our residents enjoy free off-site swimming pool and tennis access, in addition to the adjacent city park. 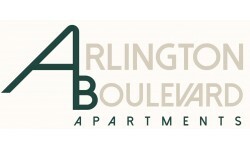 Without a doubt, you’ll love living at Arlington Boulevard Apartments!